Oliver mainly specialises in criminal work, however his practice also encompasses regulatory and inquest matters. He has acted as both leading counsel and as led junior in a number of high-profile cases and appeared successfully in Court of Appeal in respect of both conviction and sentence. He also has experience of judicial review matters with a criminal dimension. Oliver’s primary practice is concentrated on defending those clients charged with offences of serious crime, particularly violent and gang-related crime including the possession and use of firearms, the importation and supply of class A drugs, trafficking people into and inside the UK, and associated money laundering offences. He also deals with those accused of serious sexual offences. A large number of these cases have involved detailed analysis of cell site evidence and mobile telephone communication data, as well as other expert forensic evidence relating to injuries, fingerprints, DNA, ballistics and drug cultivation. 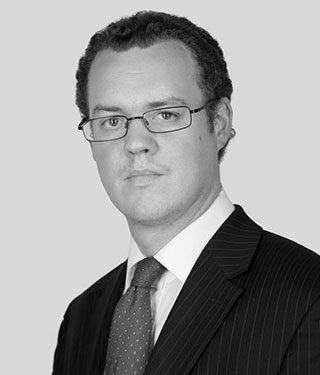 Oliver has considerable experience in undertaking appellate review work examining whether fresh grounds of appeal may exist in respect of old convictions and sentences in which the client has either never appealed or received negative advice on appeal from his or her original representatives. Many of the cases he has reviewed have resulted in fresh grounds of appeal being identified and submitted to both the Court of Appeal and the Criminal Cases Review Commission, and have ultimately led to convictions being overturned and/or sentences being reduced. Oliver is a CPS London Grade 3 Prosecutor & CPS Level 3 advocate. R v BM – Led junior in high-profile murder case involving robberies of high-value watches. R v I – Leading counsel in a large-scale conspiracy case to traffic women for sexual exploitation both into the UK from abroad and inside the UK. Client acquitted at half-time. R v SK – Led junior in successful defence of a multi-handed conspiracy to murder in which client was alleged to be one of three hit men hired to kill two drug kingpins. R v D – Successful defence of the primary defendant in a five handed trial on charges of causing grievous bodily harm with intent and violent disorder. R v M – Successful defence of a co-defendant in the ‘Ted Terry’ trial at the Central Criminal Court. R v A – Leading counsel in a three month drug and money laundering conspiracy involving significant volumes of banking, cell-site and text message evidence at the end of which the client was given a conditional discharge. R v C – Led junior in a case involving allegations of political corruption / conspiracy to defraud. The case involved a successful month long abuse of process argument by the defence in respect of manifold failings by Cumbria Trading Standards in their duty of disclosure. R v U – Domestic violence case involving a client acquitted of counts of GBH, ABH and attempting to choke his ex-partner in order to commit another indictable offence under s.21 OAPA 1861, a rarely used charge. R v L – Case involving a client acquitted of multiple counts of attempted GBH and possession of a firearm with intent to cause fear of violence. R v I – Case involving a client acquitted of multiple counts of possession with intent to supply class A drugs and possession of a firearm with intent to endanger life. R v K – Led junior in a £120 million pound money laundering case at Birmingham Crown Court. R v B – Case involving the successful defence of a client accused of multiple counts of sexually abusing two girls under the age of ten whilst staying the night at their house. Oliver is regularly instructed to appear at coroner inquests across the country, most often on behalf of families of the deceased but also on behalf of other interested parties. Case of H – Case involving the representation of a Doctor at a large scale inquest involving issues relating to the policy and procedure of the insertion of naso-gastric tubes during treatment of patients. Case of NI – Case involving a High Court action brought to secure the body of the deceased to be released to a particular family member. Case of EC – Inquest involving the representation of a family whose daughter had died after feinting during a mammogram procedure. Case of PA – Inquest involving the representation of a family whose father was prescribed and continued on incorrect medication at a nursing home. Case of DF – Inquest involving the representation of a family of a man who was taken ill in a foreign jurisdiction and transferred to the UK and the resulting multiple medical complications he suffered. Case of L – Inquest involving the representation of a family of a foreign national killed during the course of a UK road traffic incident. Case of BH – Inquest conducted with a jury involving the representation of the family of the deceased who had been under a Mental Health order at a psychiatric unit when she died on escorted leave. Oliver has particular experience in cases involving the defence of individuals and companies by Trading Standards and the Health and Safety Executive. Many of these cases are matters on which he has been instructed on a direct access basis. He also has experience of defending those facing internal disciplinary procedures and has both advised and represented families in relation to school appeals. Case of DL – Representation of a contractor prosecuted by the HSE in relation to alleged multiple breaches of working regulations. Case of RB – Representation of a company director prosecuted by Trading Standards in respect of alleged breaches of the Road Traffic Act 1988 and Consumer Protection from Unfair Trading Regulations 2008. Oliver has acted as a legal adviser to variety of BBC programmes over the years as well as appearing on LBC radio on a regular basis regarding criminal legal matters. Oliver is direct access qualified.